This layout is made with Florence Paper Pack (all supplies below). Summer time is the time for trip but we use our cars every day. So this set can be used for some many different events. Get a new car, driving to work (DC traffic is crazy), washing the car, doing a car wash as a fund raiser, and those infamous road trips. Of course, those road trips for great memories and you need to be the keeper of those memories. Use the Artbooking Cricut Cartridge to make this awesome minibook! What a great way to savor those fun moments in life when you got away. The Flash Sale items are still up for grabs. 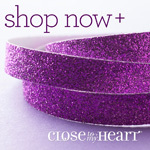 Don’t forget to check them out along with the clearance items! Looking for a few moments to get away? Need some space and time to work on your memory keeping, cards, or other crafty projects? My home space is open for crafters from 12-6 on Tuesdays and 12-9pm on Thursdays as well as 2-3 Saturdays. I’ll give you the gift of time and space for free! Come and join me. It’s a Birthday Card. Haven’t shown one in a bit and we have such great birthday stamps! We are getting to the end of June and of the Florence Cards! Use the water color pencils to color in, going over them with a wet brush to smooth out lines. We have awesome water color paints, brushes, and you can use your reinkers to get the same look! Awesomeness to have a variety of avenues to get a water color look. Add some sequins and white shimmer take and you have a great card! Who doesn’t have a birthday around the corner to give this card to? Thanks Jen L for the great inspiration. I love my CTMH sisters. It’s such a great community for support and inspiration. Circle Cards are unique and fun to make and receive. Here’s one featuring Florence and the stamp set D1689 Firework Fun. You can easily create a circle card by using CTMH Cricut Cartridge Art Philosophy (retiring July 31, 2016). The stamping and cardstock used for the base are Poppy. Nice and bright, fitting for fireworks. Thanks to Janice H for the inspiration for this card! Thanks for stopping by and have a great day! Today is the last day to take advantage of my customer special of having your shipping refunded to you while I’m at convention. Don’t miss out on my customer special!! Get a better deal and shop at the Flash Sale and the Clearance! You can go wrong with being able to take advantage of layered customer specials!! Be sure to check the calendar for upcoming events. There is a crop in July at Temple Solel. There are crops at my house. I’m looking for hostesses for July and August. Be the hostess and get a special gift from me. You can do this at your home or do a book show/online show. Thanks for stopping by! The 3rd Workshop Your Way layout with the Florence Collection is called Brilliant. Use White Daisy cardstock as the base. The white background really sets off the colors in the Florence papers, don’t you agree? I feel the warmth of the colors coming out. Using the Florence Compliments (included on the WYW collection), you use “Brilliant” to create the title and clusters of embellishments. I don’t think I highlight the importance of putting the different elements in the Compliments together to create “clusters” in different areas of your layouts (or any crafting project). There are different textures and background materials used in the compliments to give you variety which works well for clustering. Try to have at least three clusters, spread between the two pages of the layout. When I add pictures to the layout, I’ll add more clustering. You will still be able to create more with the left over paper after the three layouts. More to come on this! Some of the cards you’ve seen posted this month are easily made with the scraps. Tomorrow’s card will show you a great use for your scraps. I have to tell you, we’ve created some amazing things at Convention!! I’m so excited to have so much to share when the new Annual Inspiration is released!! I love learning and if you watch my Instagram account, you’ll see some of the fun things we are learning! Speaking of Convention, I have my customer appreciation which ends tomorrow (Sunday). Don’t forget about the Flash Sale! Be sure to check it out. Ends on Monday at 5PM EDT. Today the Flash Sale starts at 5:00 pm EDT! More goodie bundles will be available for you to get!! And remember, I have my customer appreciation special running while I’m at Convention – shipping refunded on orders placed during this time, a free stamp set with a $50.00 order/SOM is $5.00, and 2 free stamp set with an $100 order! You’ll use this set over and over as well as forever. The pennant is stamped in Peacock. The saying is cut out from the Cricut Artistry Collection. Mount the pennant on Saffron cardstock. The base panel is cut at 5 1/4″ by 4″ base. The Urban background and texture paper is cut at 5″x 3 3/4″. On the 5″ side, in the middle, make a straight cut. The length of the cut will depend on the angle of the fold you want. Fold over the sides towards the center, to create the triangle folds. Great way to show off both sides of the background and texture paper. Stamp “Ridiculously Awesome” in Peacock. Mount on Saffron and Peacock cardstock. I thank Laurie L from the Card Swap for this awesome inspiration!! Enjoy the Flash Sale and take advantage of layering deals! This Florence Kraft container turned out exquisite! I had never thought to use the Florence Compliments (or any compliments) this way!! Fun and easy to do. Use a Xyron machine to put the adhesive on the back of the Compliments so they are fully covered with adhesive and stick on better. The base was done with one of the Poppy sheets of Enchanted Fundamental Collections. The Fundamental Collections are so wonderful to work with because they are neutral These containers are great for putting in letters or special treats for someone. My sister has put bath bombs in them. Don’t forget to decorate the lid. Cut out the circles on the Cricut. Add the Florence paper, compliments, and sequins to finish it up. The Rose Gold Foil Tape…awesomesauce!! I love how it looks with the copper color. It brings out the copper in the compliments as well. You can see how easy it is to decorate a Kraft container with some paper and compliments. Use your scrap-bucket and leftover compliments to do this. Yippee, today is the first day of Convention for me! It’s a 4 day period of crazy, creative, inspirational, and fun! It’s so good to see my CTMH peeps. It’s so exciting to see the NEW Annual Inspiration full of new papers, stamps, and products! What’s the yippee for you? I stamp the image first and then cut it out with the thin cut. I invested in a magnetic platform for my machines (Cuttlebug and Tim Holtz Vagabong) because the magnetic platform holds the dies in place when you are putting the sandwich together and rolling it. Once the image is cut out, color it with the Shin Han Touch Makers. These are alcohol makers. They layer and blend nicely allowing you to be very creative in your coloring. Coloring is the new “in” tread with all the coloring books out. You can use your stamps to make your own coloring projects! The fancy folding here is great with the CTMH Background and Texture papers because they are two sided (having two different patterns on one sheet). Simply cut the paper at an angle (easy to do with a Fisker’s cutter), score, and fold! Note the zip strip is used like a ribbon across the two panels. Always save that strip to use. The Florence sequins are the finishing touch to the card. The Bunch of Love coordinating stamp and thin cuts makes your life so much easier. I’m thankful for anything that saves me the fussy cutting. If you have arthritis in your hands, you’ll love thin cuts. I thank Linda B for the wonderful inspiration! The Flash Sale ends today at 5pm EDT and here’s the last Father’s Day Card from the 50 Card Swap. It’s made with Cricut Artistry and Magical Paper Pack. The Scalloped Embossing Folder is used to create the pattern on the cardstock. Give it a distressed look by sanding the paper lightly. Great news! It’s on sale through the Flash Sale which ends today at 5:00pm EDT! Get yours today. Adding embossing to any project brings it up a level. CTMH embossing folders have a 4″ slit at the top of the folder so you can emboss 4″x12″ pieces of paper for your scrapbooking pages. Using the Cricut Artistry to cut out the shapes and stamp them with this great stamp set that’s in the Seasonal Expressions 2. The stamp set retires on August 31, 2016. Open the card up and you have this great inside. I love the saying!! Use the Cricut to cut out the bow tie and stamp it in Cranberry ink. Use Archival Black to do all the distressing you see on the sides. Even thought Father’s Day is over, get this set now for next year. It’s funny and easy with the Cricut. See the supply list below. I thank Janice H for the wonderful inspiration! The Flash Sale ends today at 5:00 pm EDT. Don’t miss out on the great bundles and a chance to save a few dollars. Be sure to check out the Giveaways as you can get a free stamp set every $50.00 you order. With every $100 you order, you will be entered into the quarterly drawing to win $100 to buy whatever you want!! Next drawing is July 3!